For the second time this year a major figure in comedy has made controversial public remarks about the funniness of women. 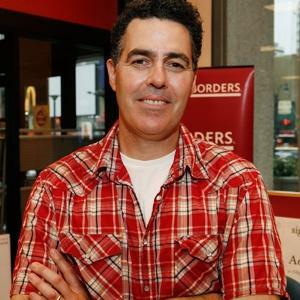 Adam Carolla, of the #1 ranked podcast The Adam Carolla Show, stated in a New York Post article that “[t]he reason why you know more funny dudes than funny chicks is that dudes are funnier than chicks.” He went on to cite a few famous women that he finds hilarious, but the damage had been done. Twitter and Facebook lit up with denunciations by women and a few super enlightened men. Some sources, like the Huffington Post questioned why we would even care about Adam Carolla’s opinion. Other comedians, mostly female, were hurling the “irrelevant” label at Carolla. Before I get to the larger point, a quick defense of Carolla’s “relevance.” He is the #1 podcaster in the world – a format that comedians have embraced wholeheartedly and that he has done better and with more success than anyone on Earth. Calling him irrelevant would be like calling Dane Cook irrelevant back in 2006. Carolla, in my opinion, is also one of the 5 or 10 funniest people in America. His ability to be funny off the cuff, which I think is the purest form of funny, is second to none. He is also a best-selling author of “In Fifty Years We’ll All Be Chicks,” which is one of the funniest books I’ve ever read. He may not be Louis CK or Chris Rock in the stand-up comedy community, but to call him irrelevant is a surefire sign that you are out of the loop in comedy and media. And full disclosure – I was never in a fraternity and before I ever listened to his podcast I just assumed (wrongly) that Carolla was an unsophisticated douche from the commercials for The Man Show (which I never watched). Of all the women criticizing him I wonder how many were regular listeners to his podcast or had read his book or had ever seen him perform live. Now back to the issue. My first basic question is, what if Carolla is right or at least why is the idea that men are generally funnier than women such a sin that to even think it is a capital offense? This has become such an article of faith among female comedians (and some super enlightened male comics) that no gender is funnier than the other. Of course, any objective marker of comedy success, from the reverence given to Louis CK, to the financial dominance of “comedian” Jeff Dunham suggests otherwise. As I wrote in a piece in January about the firing of Eddie Brill ( http://jlcauvin.com/?p=3225), comedy may be subjective, but all objective evidence point to the overwhelming popularity of male comedians over female comedians. And Carolla never said a woman cannot be as funny as a man. So each individual female has an opportunity to be a Sarah Silverman or a Joan Rivers, but he said if he were playing the odds he would bet on a male comedian. To the point of whether a woman can be as funny as a man – why is this not enough? Why is it so offensive to female comedians to say that men are funnier on average? Carolla offered no reasons as to why this is the case in the short interview, but might I suggest there are numerous cultural factors within and outside of comedy that lend itself to being a male art form? The lifestyle of comedy is one that is still more socially acceptable for men that may weed out women. Women who pursue the long and lonely journey of stand up comedy are potentially giving up a lot more in terms of family than men who pursue it. Furthermore, we are a culture that has long praised men for being outgoing and attention seeking by being “the life of the party.” Women, not so much. Without getting into the Christopher Hitchens article on women not being funny, is it possible that our culture (even if not going back to our evolution) has stacked the deck against women being “the funny ones?” And if all these things are true, why do we have to still go ahead and say “But women and men are equally funny,” or at least are not allowed to hold the opinion that men are funnier without being considered misogynist monsters? To say nothing of the fact that stand up comedy has been a largely male art form so we have shaped the content and the expectations of viewers for generations. None of these factors are saying that women can’t be as funny in individual cases and some of these factors are unfortunate for the additional roadblocks they create for women seeking success in comedy. But thinking something is unfortunate or unfair does not make it untrue. Here’s something that I rarely heard at any office I worked in or class I attended, “You know who’s hilarious? (Insert female name)” I have known more funny men that never picked up a microphone than I know funny female comedians. Do I know funny females? Obviously. But female comedians seem to lose sight of the fact that they are already in a self-selecting group. They do not represent the female population as a whole. They are 51% of the population, but definitely less than 50% of the stand up comedy world. This has been my life experience and may reflect my taste in comedy, but there is something in our culture that encourages men to be funny, and rewards them if they are. But it has become this article of faith in comedy, like Grover Norquist’s anti-tax pledge, that unless you say “I don’t see gender, I only see a comedian and there are funny men and funny women and that is all I know,” you become some sort of monster on the wrong side of a Civil Rights struggle. For some reason, “Women can be as funny as men” is not good enough if you believe on the whole that men are generally funnier than women. Even if you suggest that the root cause of this is not biological, but merely social and cultural you are still a pig. Perhaps as our society and culture change what Carolla said will not be true, but right now, if an alien landed in America and studied comedy he (OR SHE) would come to the conclusion that men are funnier. He could go to an office, a happy hour at a bar or a comedy club and the evidence would be overwhelming. Yes there are more male comedians than female, but I am arguing that in a larger context of our culture, not just in stand up circles. The truth is I would welcome this discussion going away, much like many of the female comics and super enlightened men who support them wholeheartedly. But the fact is beauty and comedy are two things that are in the eye of the beholder and as much as it may sting, America largely agrees with Adam Carolla. Don’t take my word for it – look at the numbers. Now I look forward to critics rolling their eyes at this and telling me “I am obsessed and need to let this go.” Why? Because I wrote twice this year about it when Eddie Brill got fired and when my favorite podcaster got attacked? Wow – truly obsessed. I just get annoyed when I see irrational arguments bashing Carolla. Of course every woman who jumps on this issue and bashes Brill or Carolla just gets a bunch of “You go girl’s” like she’s the Rosa Parks of comedy and is in no way “obsessed.” It is the cyber equivalent of “support the troops.” And then there are the female comedians who could not wait to call themselves hilarious on Twitter and Facebook as a way of sticking it to Carolla. If you want to stick it to the Carollas of the world let someone else say it for you. If you are funny someone surely will. And then listen to Carolla’s podcast.